The estimated shipping date for this item is: ‎20/04/2019‎. Your credit card will be charged when we ship your order. "Pearls" pendant necklace composed of Swarovski crystals and beads, black cotton weave cord and exclusive sliding clasp to adjust the length. 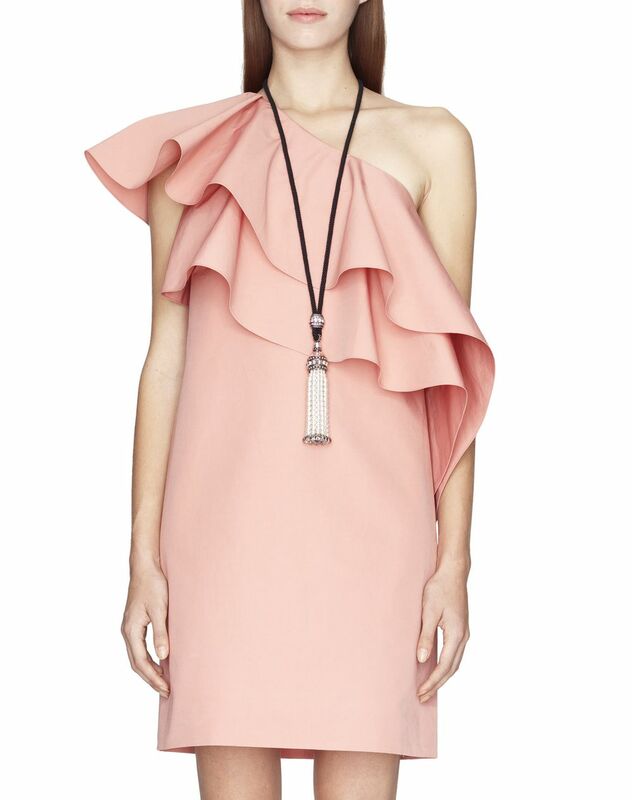 Inspired by elements of nature, the "Pearls" line from Lanvin stands out for its chic ethnic style and adds a delicate touch of brilliance to the Spring-Summer 2019 Pre-Collection. 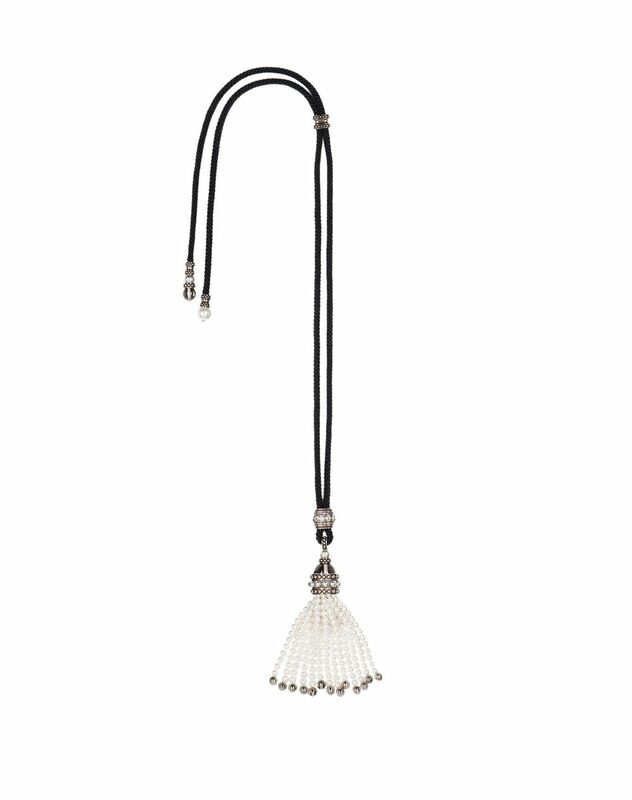 Adorned with a tassel composed of white beads and Swarovski crystals, this necklace boasts character and sophistication. Main material: 100% glass. Secondary material: 100% cotton weave. Additional materials: 100% brass. Length: 29.9", adjustable to a maximum of 39.4". Made in Italy.